If we were to describe Quito in two words, then San Marcos would be the answer. 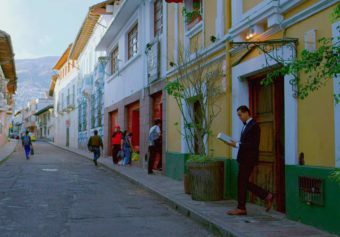 This small neighborhood comprises the small and narrow Junin street and it is a living evidence of Quito’s authenticity and originality. 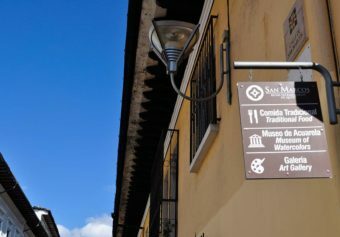 San Marcos is one of the oldest neighborhoods in Quito that has managed to mantain not only its architectonical masterpieces but its traditions and culture. Post Spain’s colonization, Quito was divided into spanish land and indigenous land and San Marcos formed part of these. Since 1580, San Marcos has witnessed a vast amount of historical, cultural and traditional events. As time passed San Marcos started being inhabited by mestizos who then became wealthier and hence made the neighborhood develop not only economically but culturally. San Marcos was then the home for artists, artisans, musicions, historians, politicians and writers. There was no doubt that culture and life was being witnessed. In comparison to other neighborhoods and other cities where time has caused our culture to decrease or to be misportrayed for lucrative purposes, San Marcos has managed to keep its natural essence. Nowadays five centuries later, it is almost impossible to think that all culture has been preserved. Fortunately that is the case in San Marcos. It is 2018 and walking in the colourful and beautifully decorated streets of this neighborhood is as beautiful as it was six hundred years ago. The houses, in their majority, have managed to keep their architectonic beauty. In here you will not only see the spanish influence on its facades but the french details on many houses’ ceilings and structures. Their inner patios with their colorful flowers that spread their smell throughout the house are no exception either. The culture is rich as it was from the very beginning. The artists living in the streets and exhibiting their work in the neighborhood will leave you breathless with their techniques and works of art. The Oswaldo Mariño Museum is no exception. In this museum you will be able to see one of Quito’s most iconic artists’ paintings in which he uses special techniques with watercolor paintings to create surrealistic and vivid representations of the capital city of Ecuador, Quito. The artisans will greet you with a smile on your way to church. Wood carvers will delight you with their beautiful and detailed work which they have dedicated most of their lives to do so. The advantage is that you will see their hard work eye to eye, in real life. Restorers, are amongst the artisans that you may encounter. Their work will impress you from the very beginning; seeing the dedication and work they put into every little scraping and painting is admirable. Locals being locals is one of the most beautiful things you will also evidence. In comparison to those classic streets that you only see alive until 7 pm, in San Marcos you will see life in a nutshell. These locals do not only cherish their nSpanishhood and that is why they take care of it, they love it with all their hearts because that is the place where they grew up, where they where told their family stories and where they enjoyed their traditions together. For that and other reasons, you will see that everyone knows their names. From the man that will walk from the grocery market to the family selling their famous steamed pork in the corner, they all remain familiar to each other and that is why they treat each other as family. Isn’t that beautiful? When visiting San Marcos you will inmediately realize that it is indeed a small neighborhood, but you will also understand that there is so much value to it that you will never run out of time to learn something new. 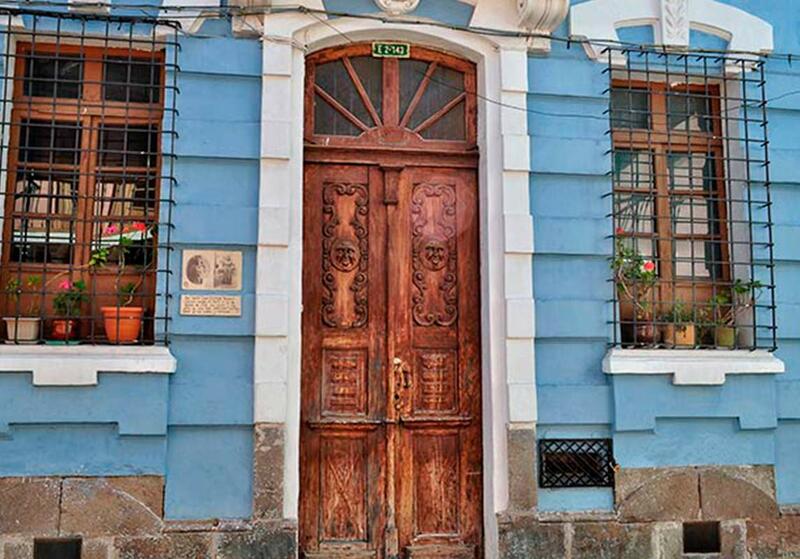 In this museum you will learn the hidden meaning and secrets behind Ecuador’s independence in order to discover a former female hero, Manuela Saenz. She was known as the Liberator of the Liberators for being Simon Bolivar’s right hand. In here you will not only learn about history but about feminism and how it started without noticing, in the XXI century. As mentioned previously, this museum will not only amaze you with its wonderful water paintings but with the techniques that you will learn from such a wonderful artist that entire Ecuador is proud to have. Oswaldo has been recognized as one of the most important and iconic modern artists in Ecuadorian history and was even friends with revolutionaries such as Frida Kahlo and Diego Rivera. One of the most beautiful museums in Quito to witness Quito’s architecture throughout time, its designs, its epochs, and its influences. Jaime Burgos, a real master of art and cuisine offers a wonderful variety of Ecuadorian dishes beautifully and delicately prepared to all of its guests. In here one can taste Ecuador in a nutshell and take their wine tasting senses to another level. Jaimito is known for his wonderful wine collection where he will thoroughly talk you through the perfect wine combination for your meal. A new hotel that reflects Quito’s history and beauty through its architectonic design, decorated details and wonderful service that will not make you feel like a guest because it wants you to feel like a real family. This 5 Star property aims to boost Quito’s standards by providing a different type of experiential traveling to the tourism industry by being the first hotel in Ecuador to change the tourism concept. 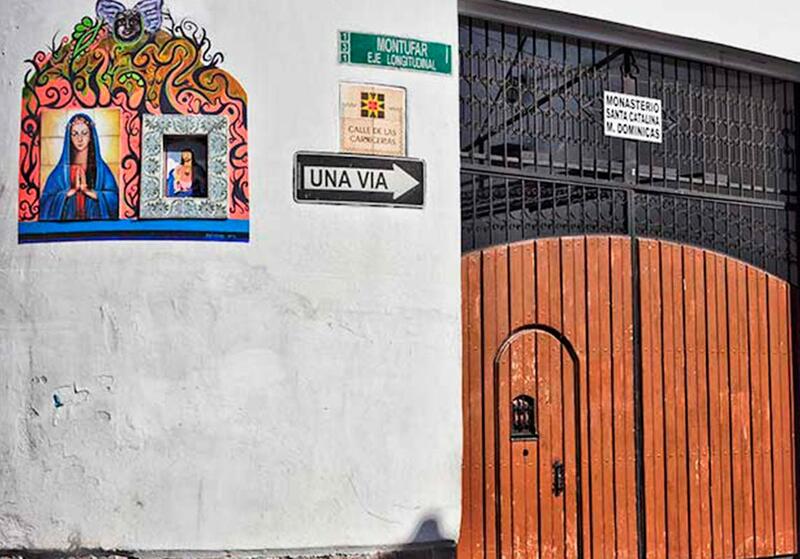 Illa invites all of its guests to live Quito through daily experiences that connect them to the community and to the capital city of Ecuador.